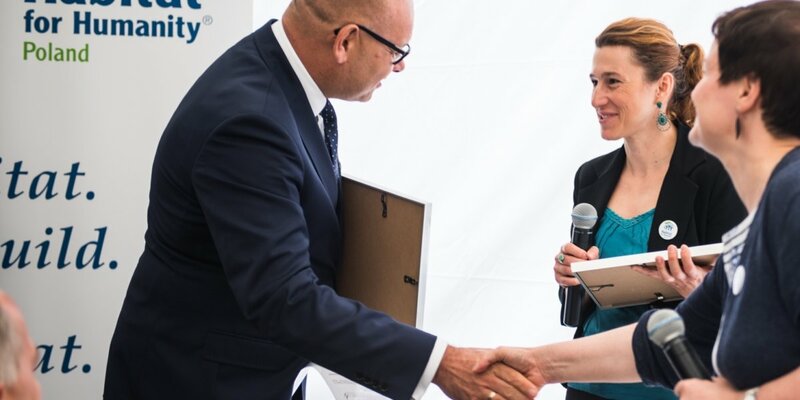 Habitat Poland bases its program of long-term partnership with business on a win-win relationship: the partner implements its own policy of corporate social responsibility by involving its employees in social action and develops organizational culture based on values. Simultaneously, Habitat Poland gains an opportunity of supporting more people and families, which gain ‘a roof over their heads’ in simple, solid and affordable houses. The housing projects of Habitat Poland are innovative, replicable and scalable. Companies, non-governmental organizations, government representatives and municipalities who are our partners become a part of a social change – a better policy for achieving decent housing for all.